Is misdirection really at the root of all magic – distracting and deceiving us to create a feeling of wonder? With Scott Penrose, Aliette de Bodard and Kevin O’Regan. Are we too technologically advanced for magic to cast a spell on us, or is there a significant place for the enchantment it can generate? Tim Marlow asks the stage magician Scott Penrose, the fantasy novelist Aliette de Bodard and the experimental psychologist Dr Kevin O’Regan for their thoughts. Scott Penrose is an award winning stage magician, and President of the Magic Circle, a British organisation dedicated to the craft of magic. Scott is also an illusion consultant and has worked extensively in theatre and film designing magic effects. He was magic consultant on the Edward Norton film The Illusionist, and he taught Woody Allen magic for his 2005 film Scoop. Scott argues that being a successful magician is all about having charisma and personality, rather than technical mastery. Aliette de Bodard is an award winning Franco-Vietnamese fantasy writer with a strong interest in the mythology of Ancient Vietnam and China. Her latest novel is The House of Shattered Wings, a murder mystery drama set in Belle Epoque Paris following the fall out of a war in Heaven. Three magicians vie for power, including an alchemist and a young Vietnamese magician wielding spells form the Far East. 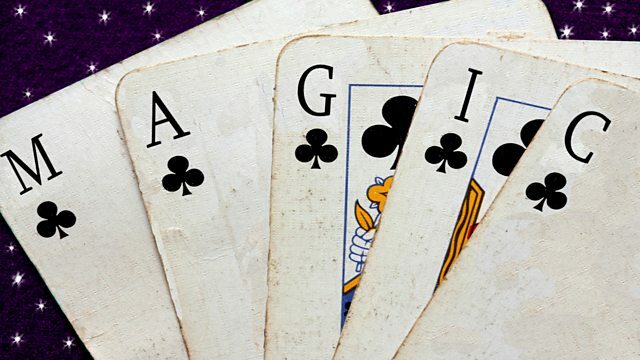 Aliette explains why she regards magic as a metaphor for power, and how writing about magic enables her to explore the notion of power, and how you use or misuse it. Dr Kevin O'Regan is an experimental psychologist and a former director of France’s largest psychology laboratory, Laboratoire de Psychologie de la Perception. He is also well known for ground breaking experiments which have exposed the limitations of our vision. With magic in mind, Kevin explains how misdirection works and why we only see what we are interested in seeing. He argues that seeing is actually as poor as imagining, and that we see much less than we think. His most recent book is Why Red Doesn’t Sound Like a Bell’. In our Sixty Second Idea to improve the world, the fantasy writer Aliette de Bodard suggests that magicians should make it possible for everyone to spend a gap year in another time period. Where and when you go would be based on a personality questionnaire and what would most broaden your mind.